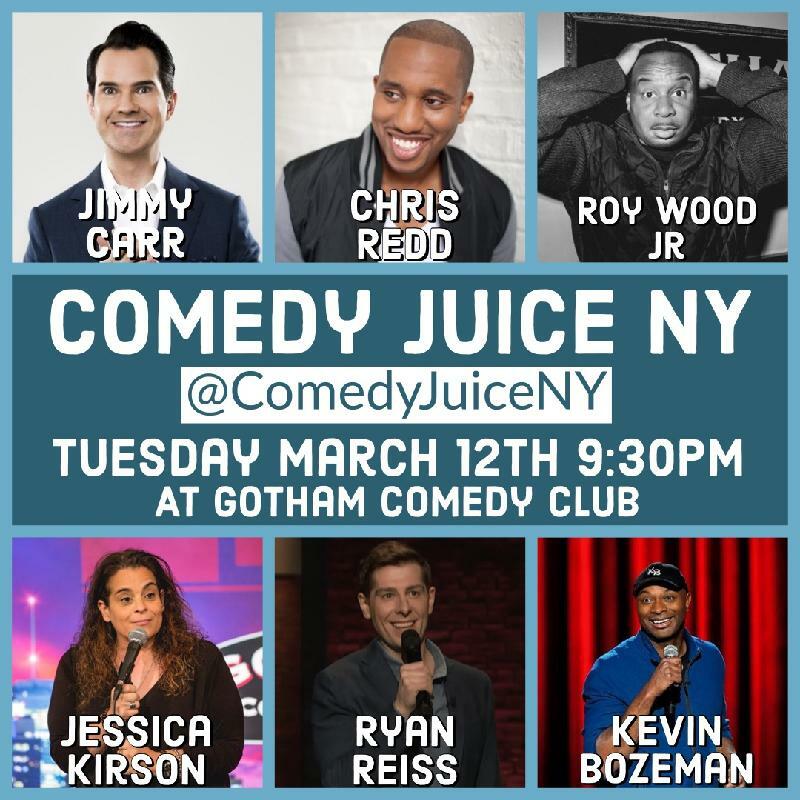 ComedyJuice w/ Netflix’s Jimmy Carr, SNL Cast Member Chris Redd, Comedy Central’s Jessica Kirson, The Daily Show’s Roy Wood JR, Late Night w/ Seth Meyers’ Ryan Reiss, & More! ComedyJuice is one of the top live comedy brands in the world, producing hundreds of All-Star stand up comedy events each year. ComedyJuice has been called the best standup comedy show in the nation by sources ranging from Sirius Satellite radio to People magazine. ComedyJuice attracts such comedy stars as Sarah Silverman, Daniel Tosh, Aziz Ansari, Dane Cook, and Marc Maron on a regular basis and has consistently been a place to discover new comedy stars before they are famous. With regular shows at many of the top comedy clubs in the country, ComedyJuice is proud to add Gotham Comedy Club to that list and launch ComedyJuice NYC. Every Tuesday night at 9:30pm. You never know who will drop in, but you always know you will get the best in live comedy. (212) 367-9000 View Full Site © Copyright 2019. All rights reserved.